The Happy Elements office combines the Chinese concept of a fluid, endless space, with the Western idea of ‘forced collision of people’, to create a sustainable, garden-like open working environment that promotes creative team thinking. 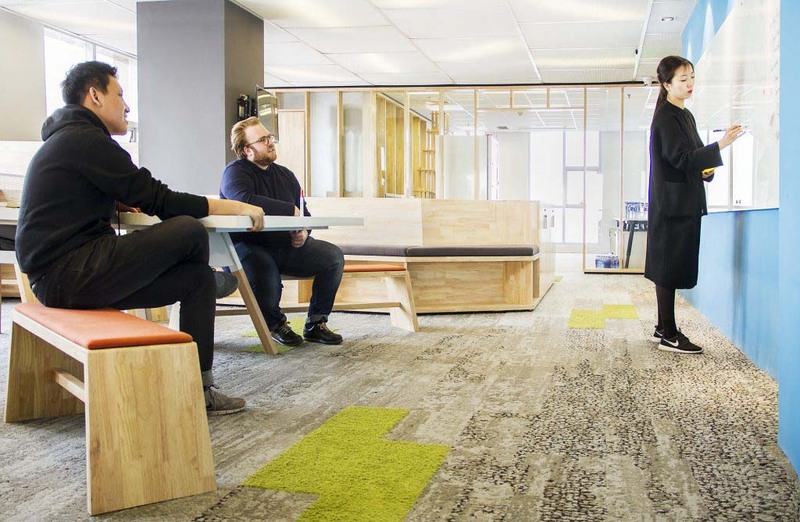 The CEO had the vision of having a “floor with no doors”, to foster a culture of openness and collaboration. 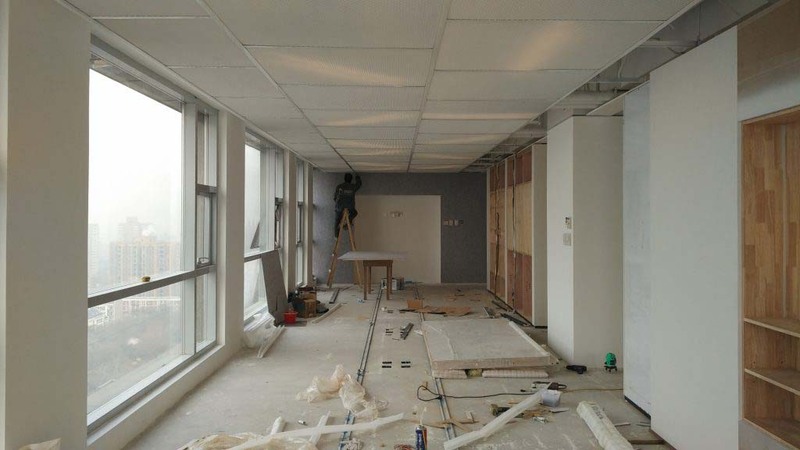 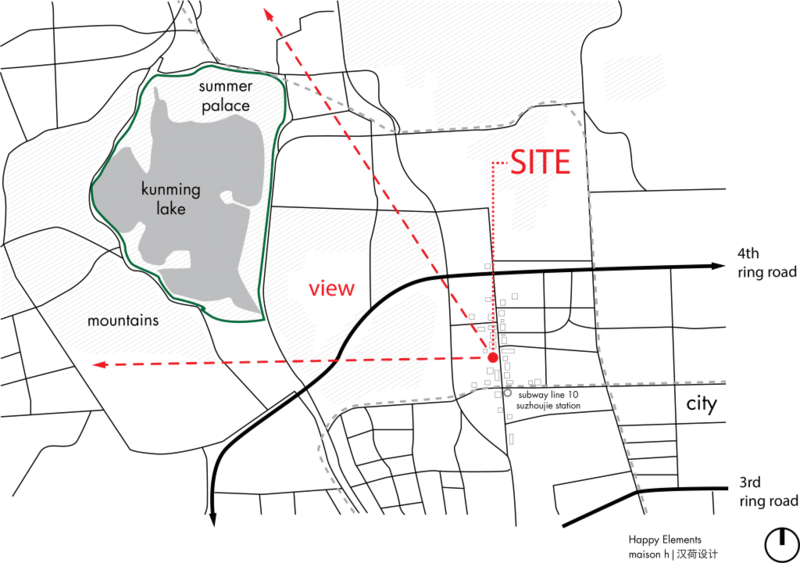 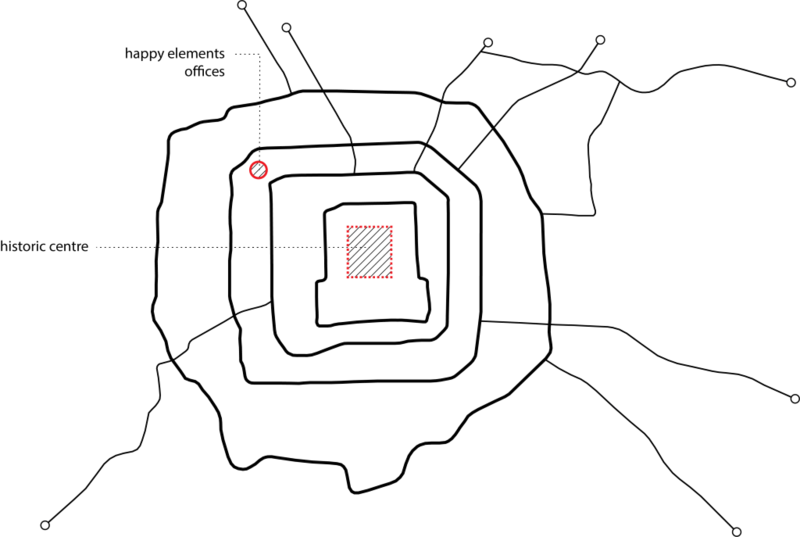 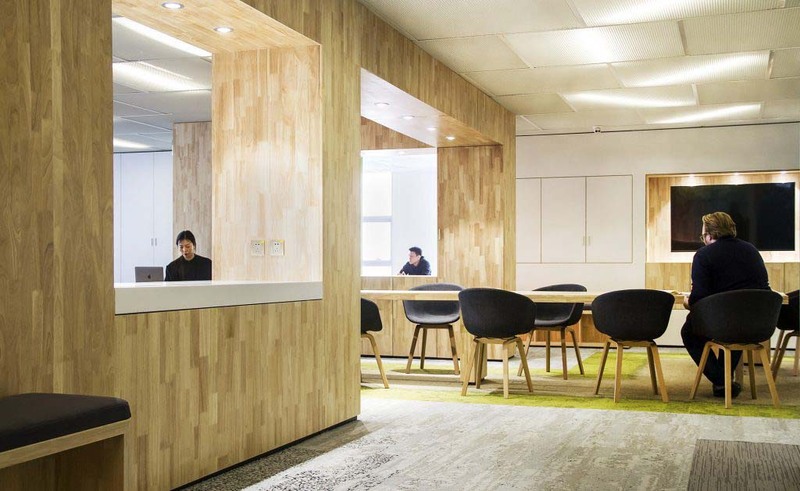 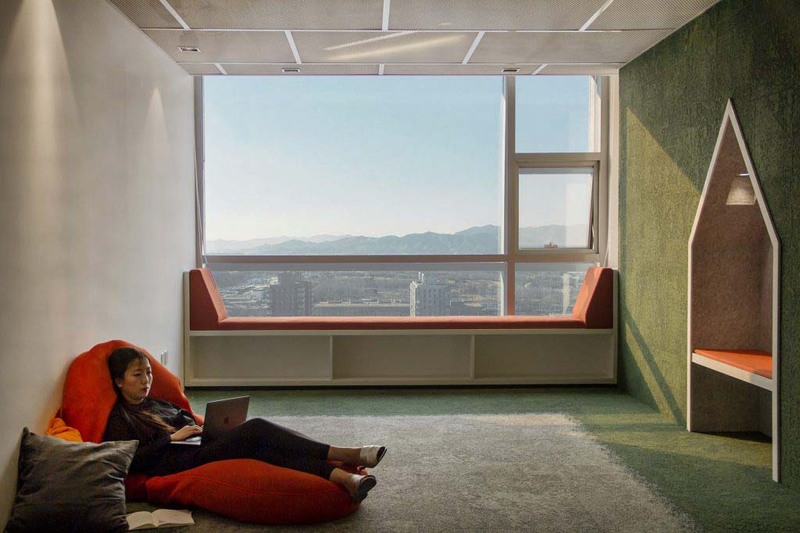 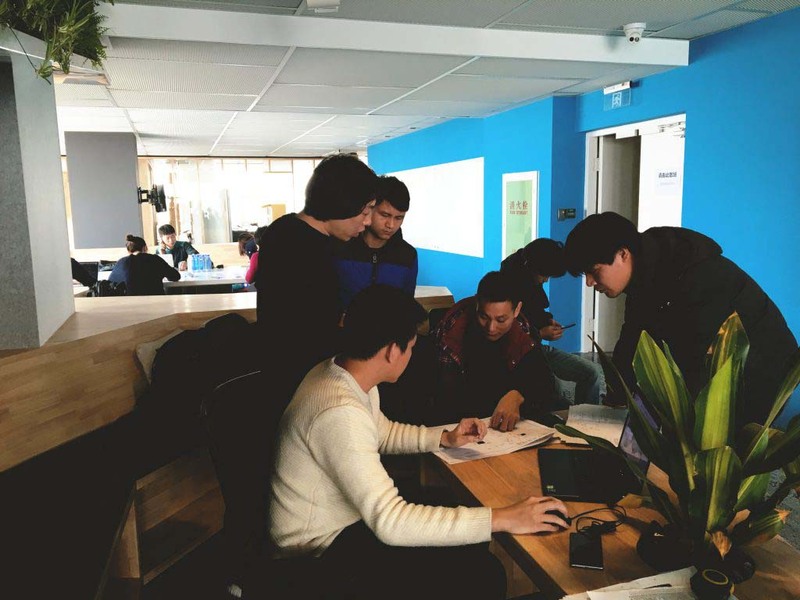 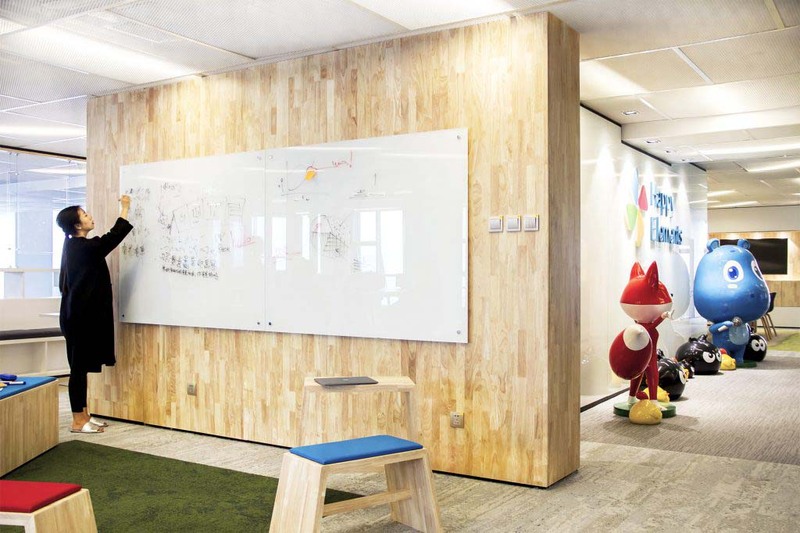 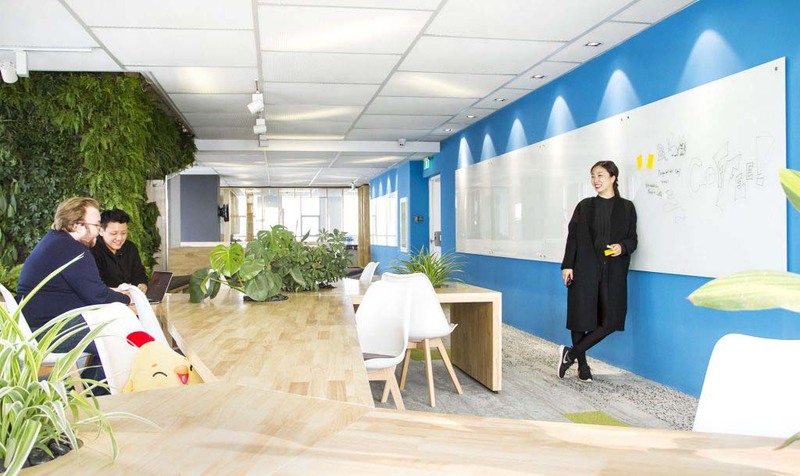 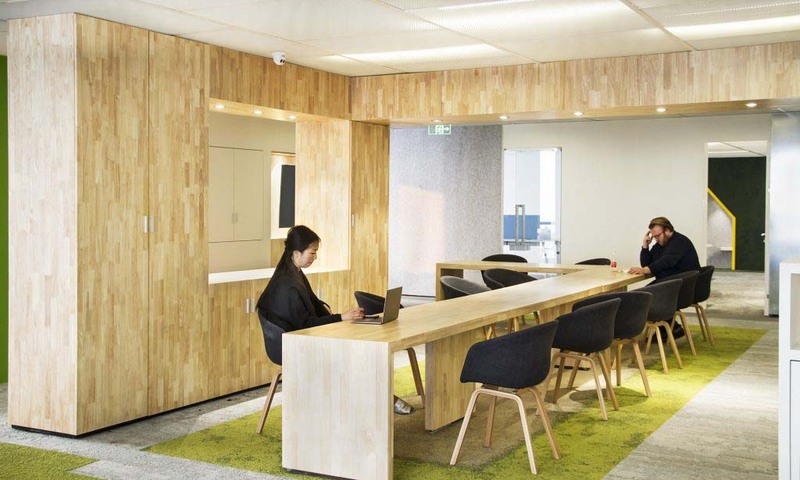 The Happy Elements office is located in the north-east of Beijing in the Zhongguancun area. 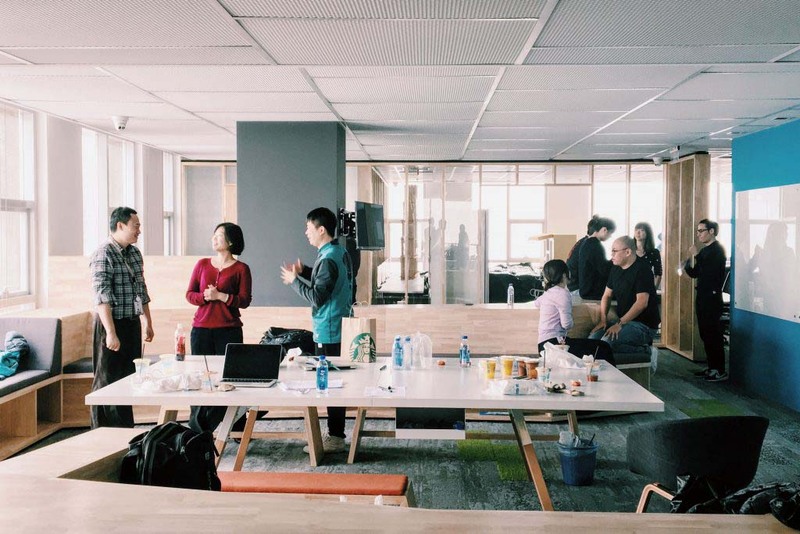 They are neighbors to some of the worlds largest tech and internet companies, with Zhongguancun as the capital of tech and innovation in Beijing. 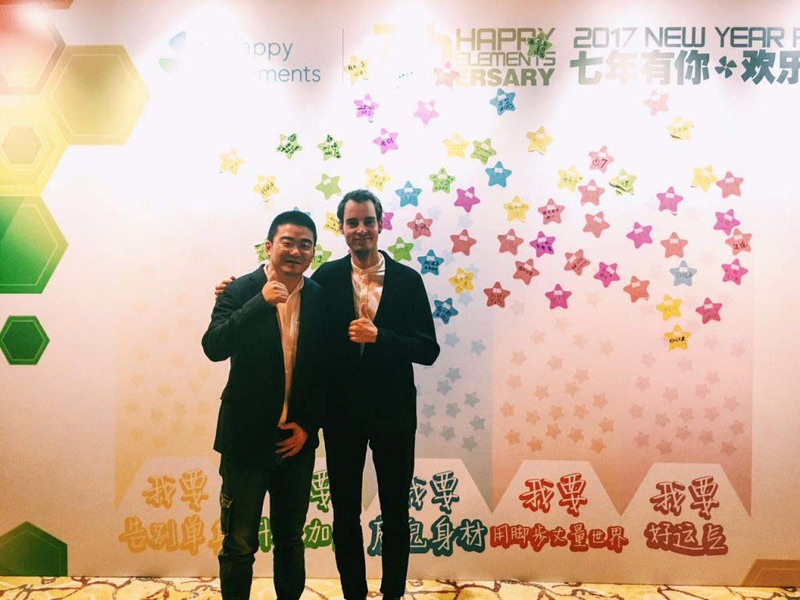 “Happy Elements creates games that brings people happiness, we strive towards creating happiness for people we work with, users we provide service to and society as a whole. 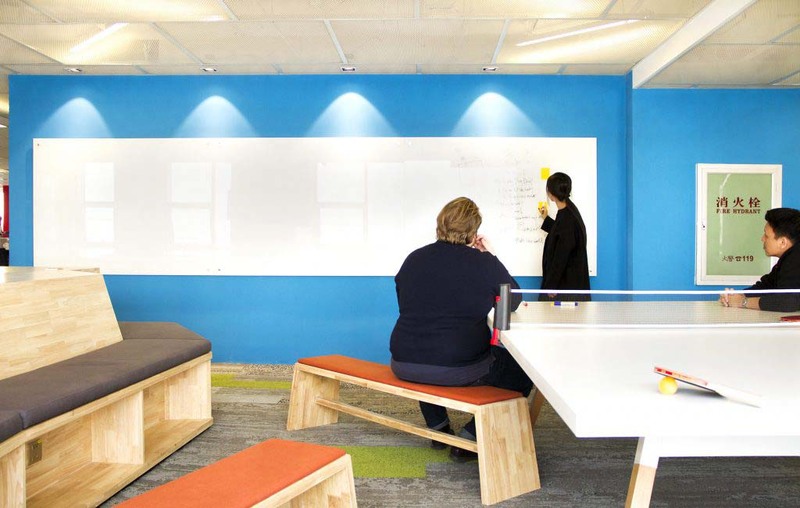 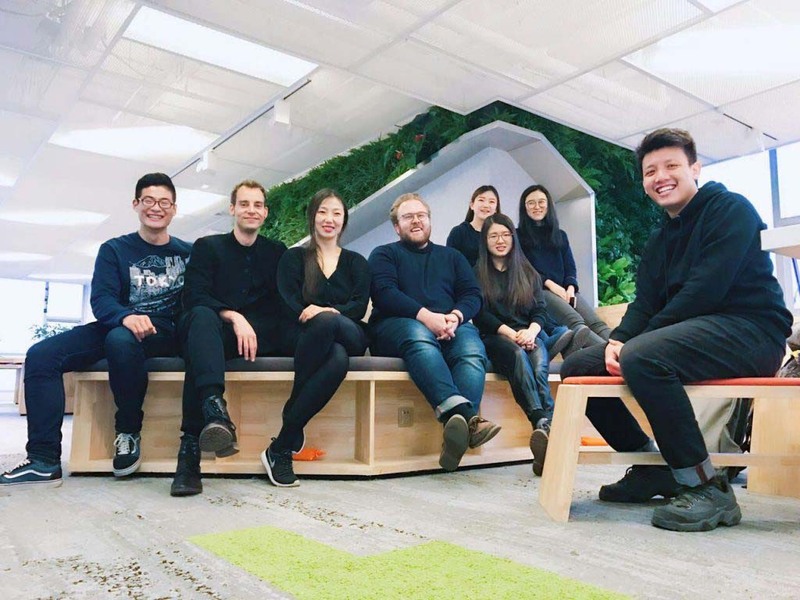 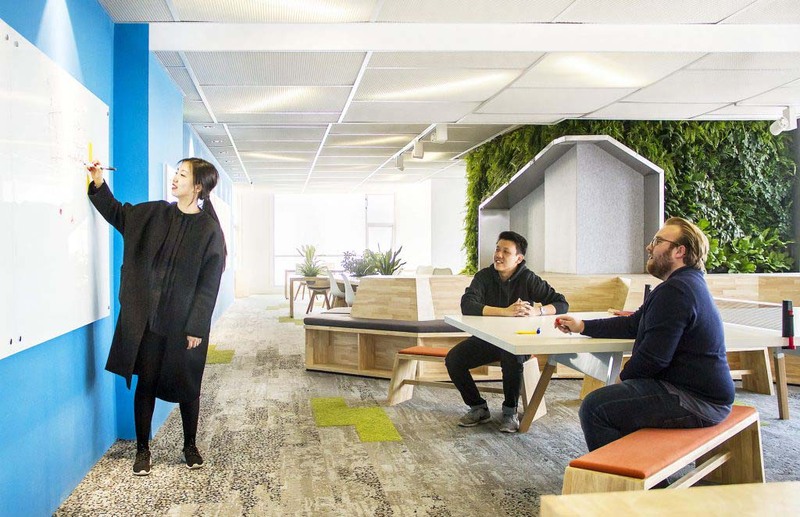 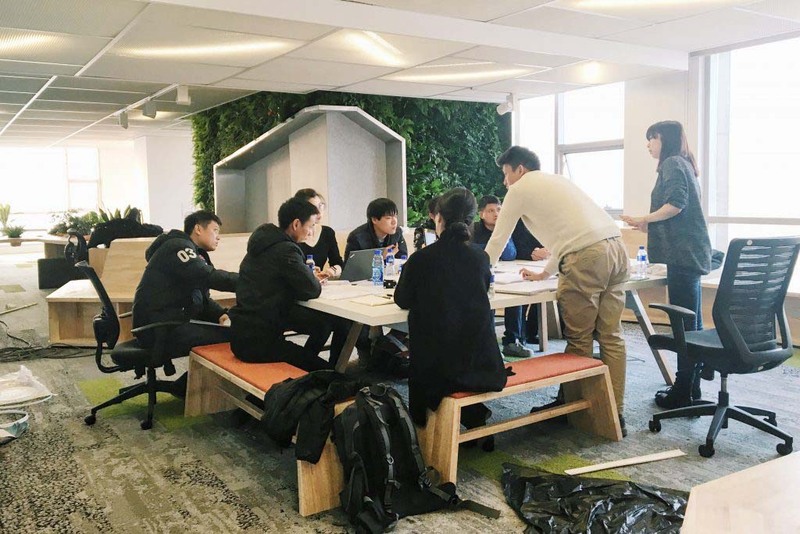 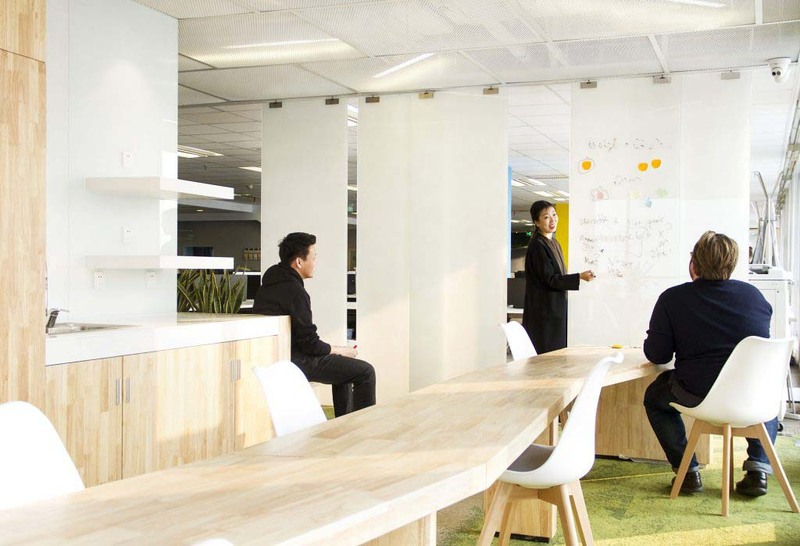 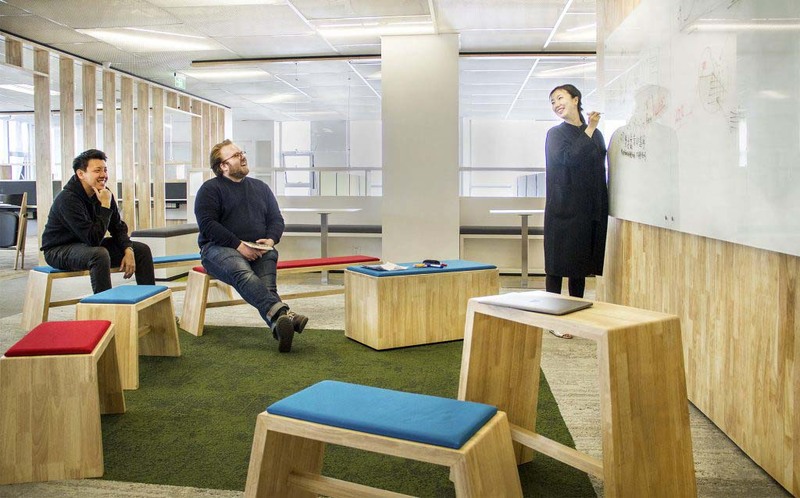 All of this starts with having a well designed work environment for its staff.” – founder and CEO, Haining Wang. 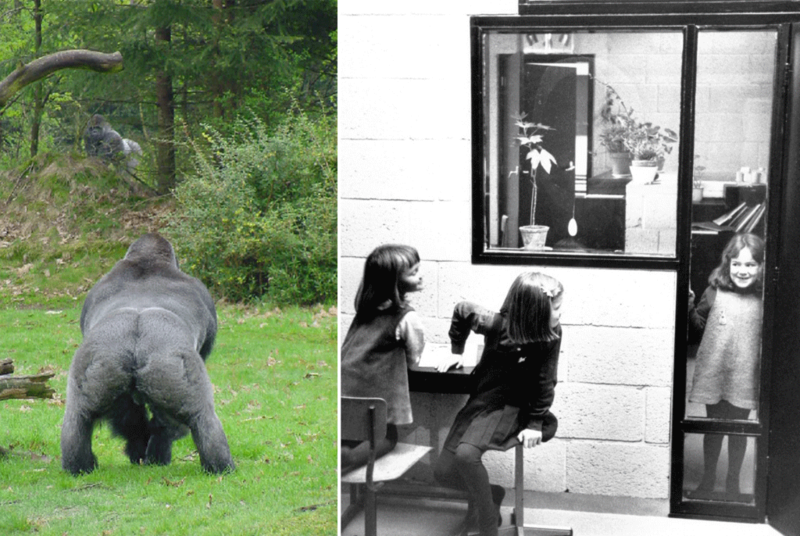 We worked with gorillas for six years before working in architecture. 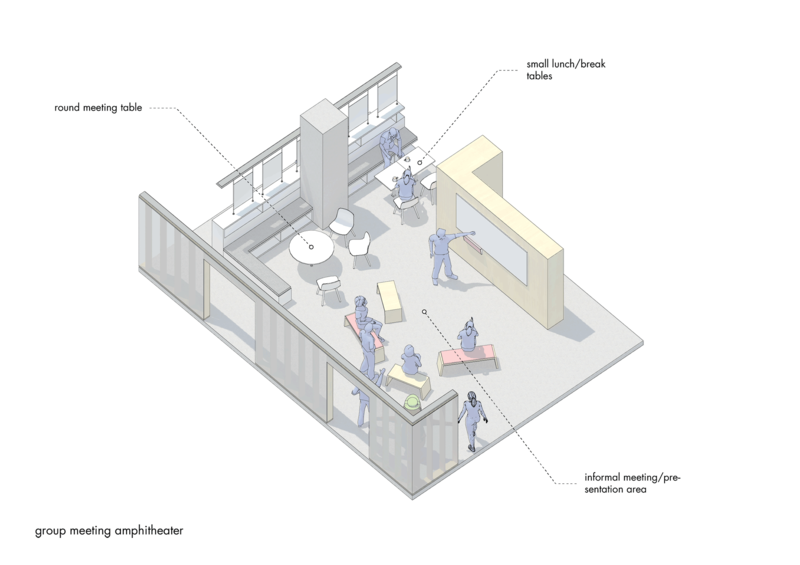 First and foremost, learning how to observe behaviour and create natural environments. 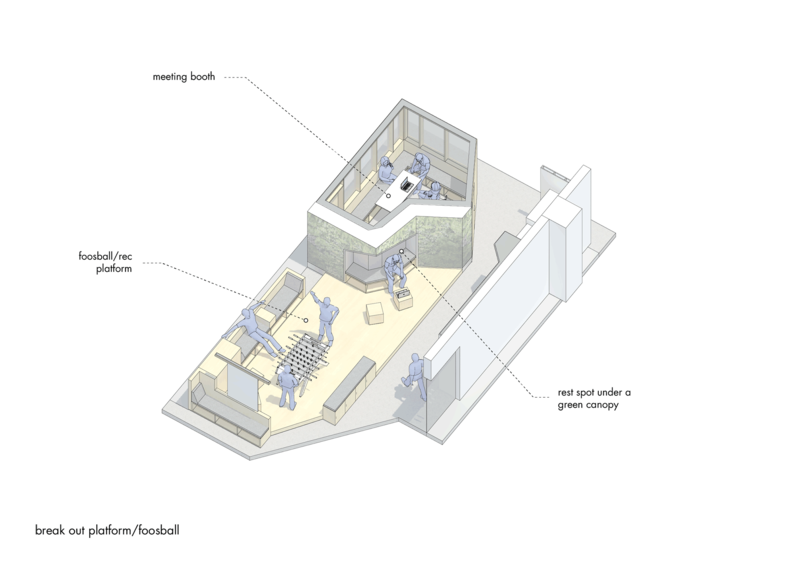 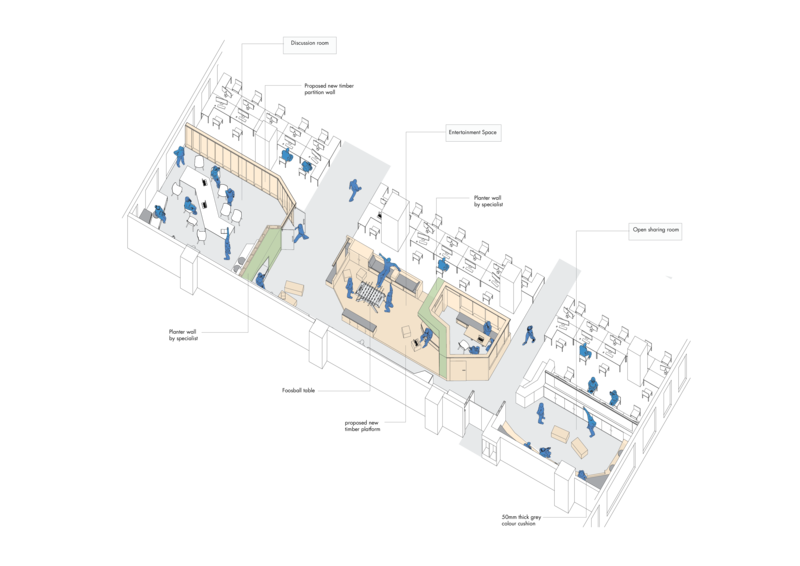 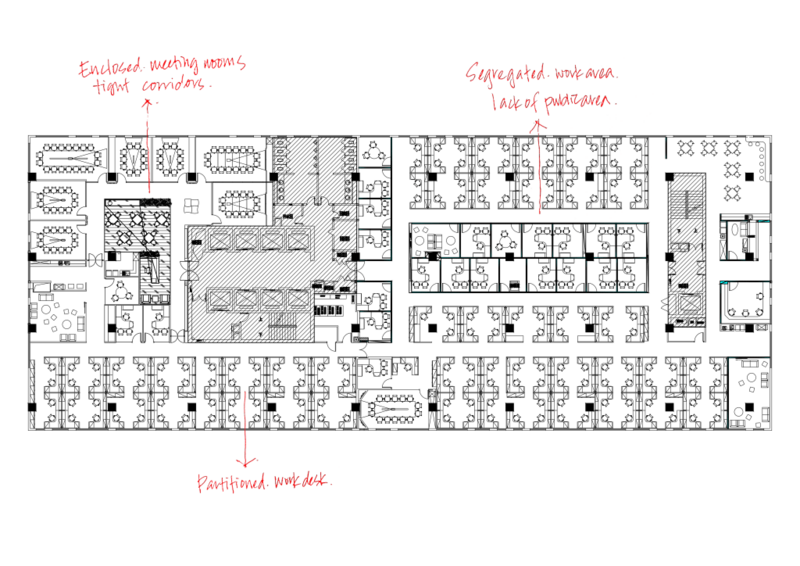 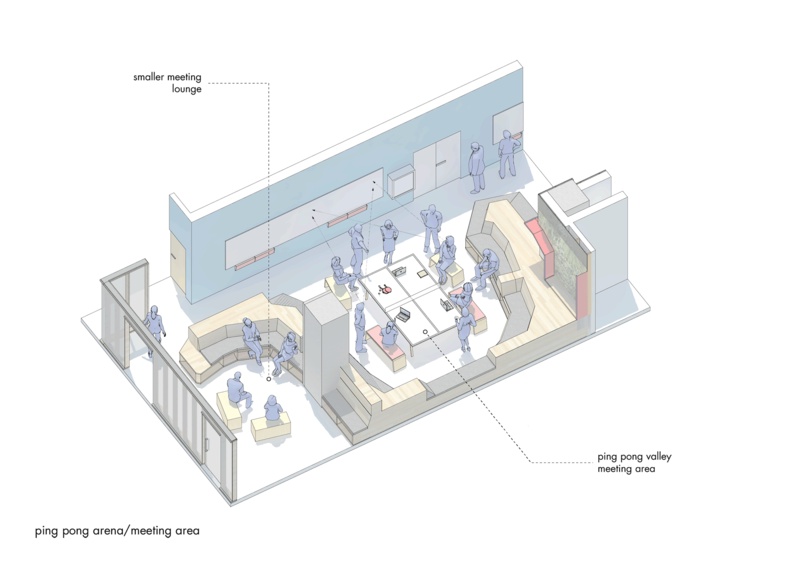 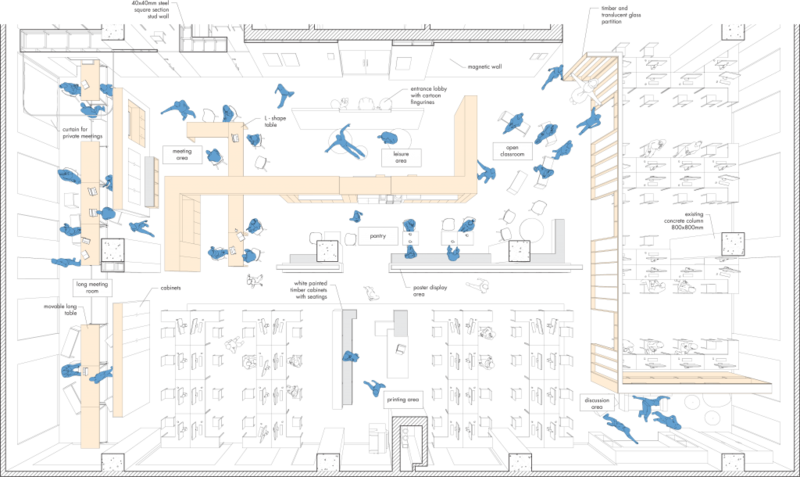 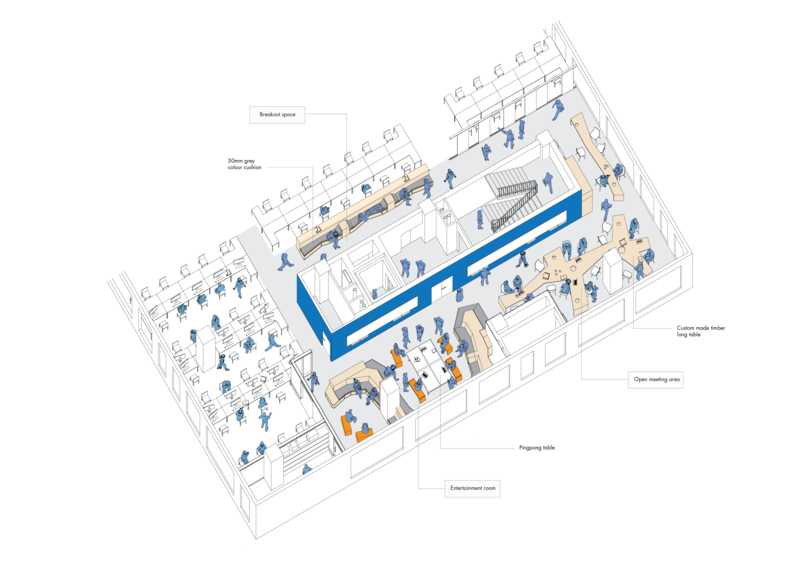 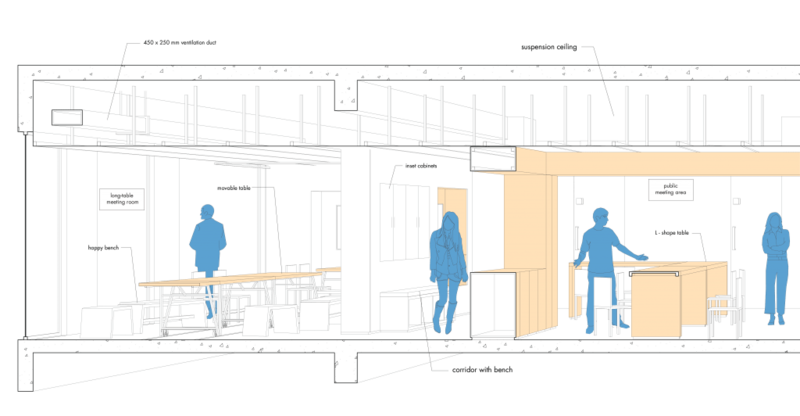 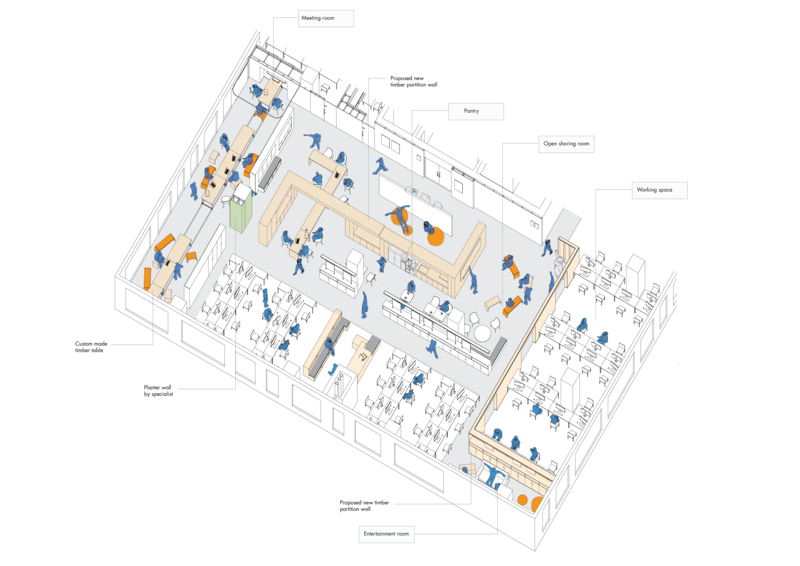 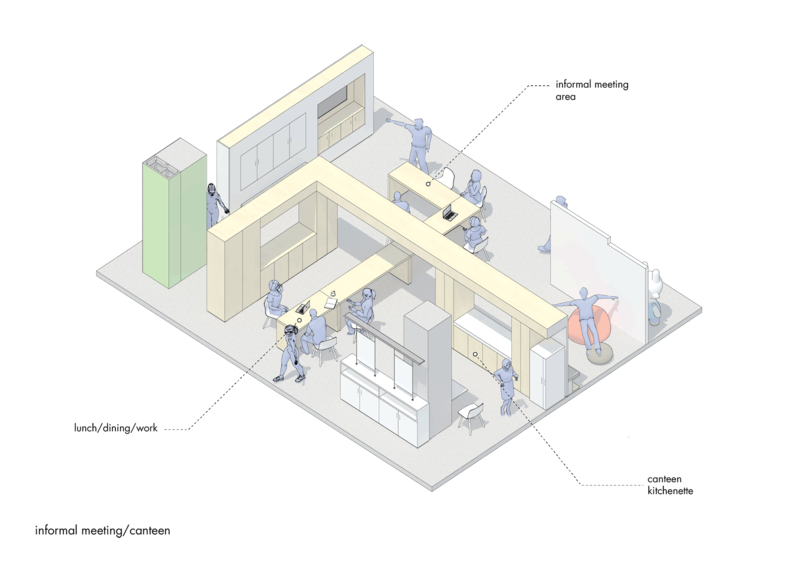 Traditional office layout separates the workforce into different closed rooms, with people working within various enclosed corners. 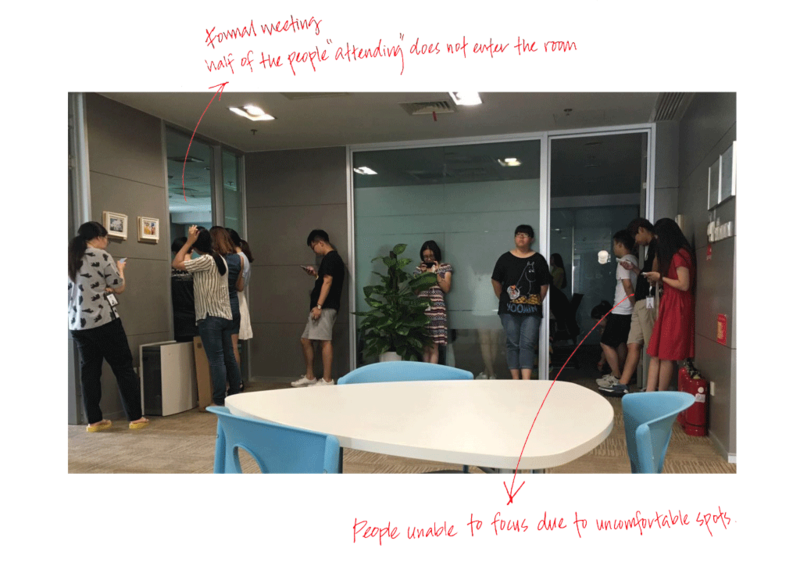 Bad arrangement of desk resulted in unusable work space, uncomfortable meeting venues and lifeless public facilities. 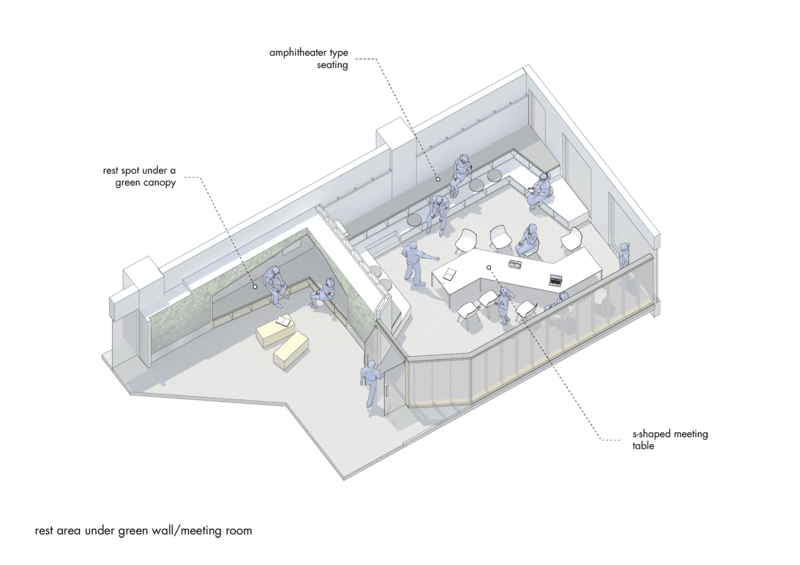 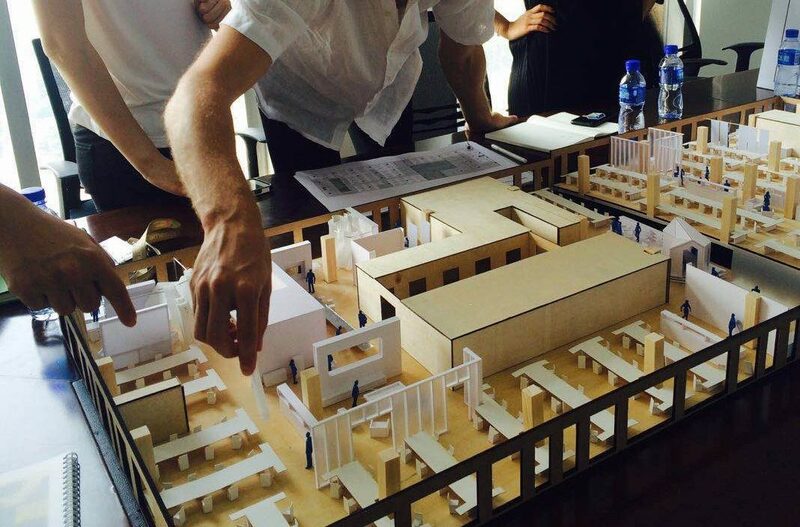 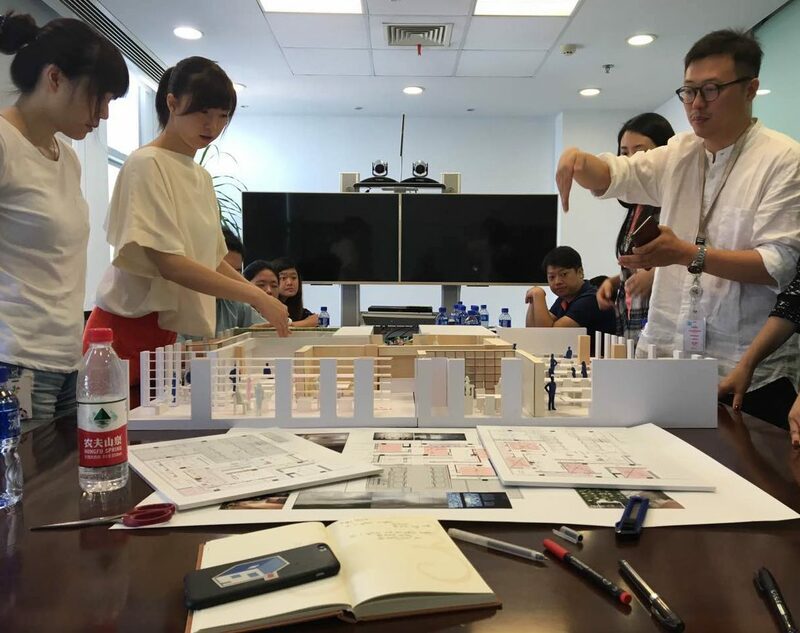 We explored our design strategy through sketches and physical models while working closely with our clients, users, and different consultants to create a place that belonged to all. 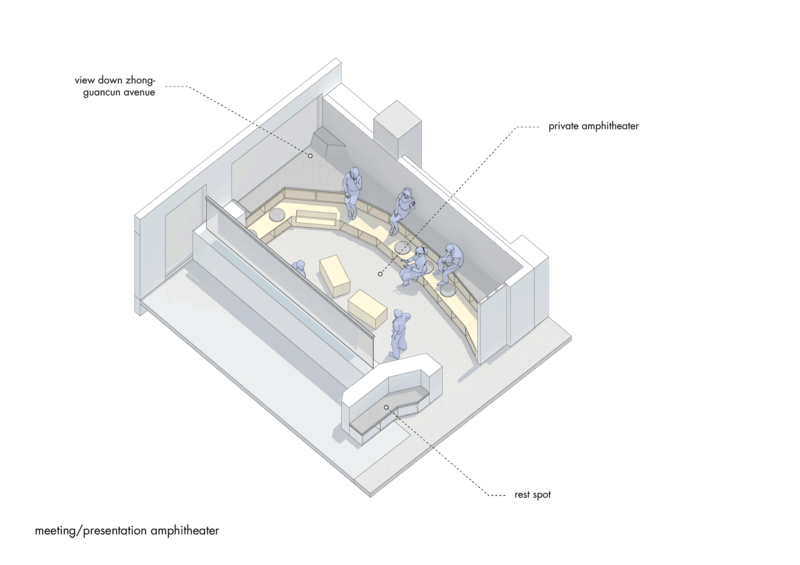 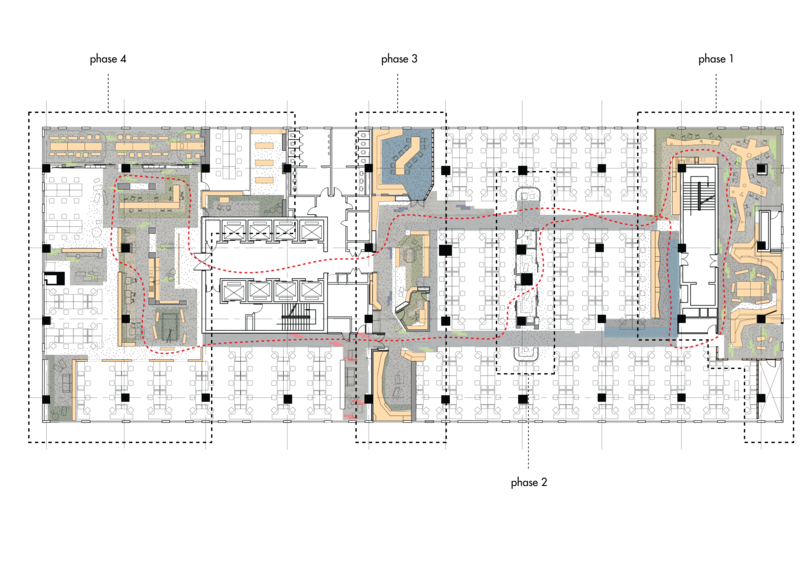 We started out by first designing a sequence of spaces, instead of a collection of rooms. 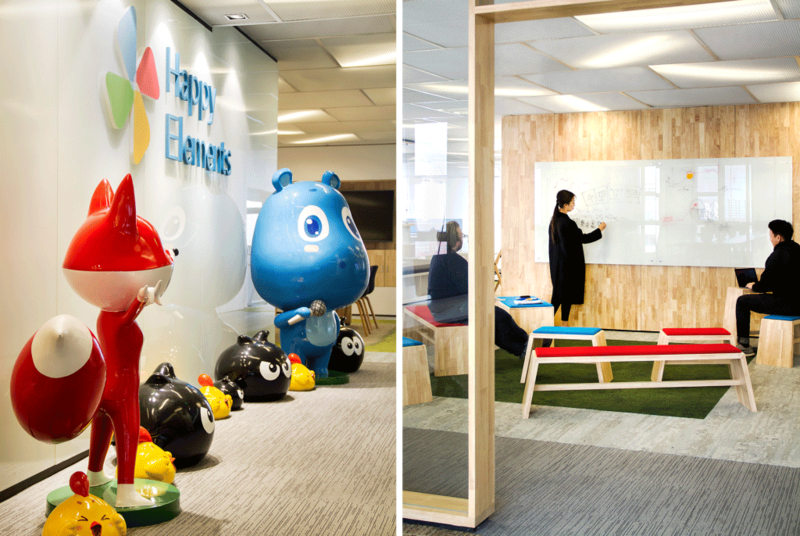 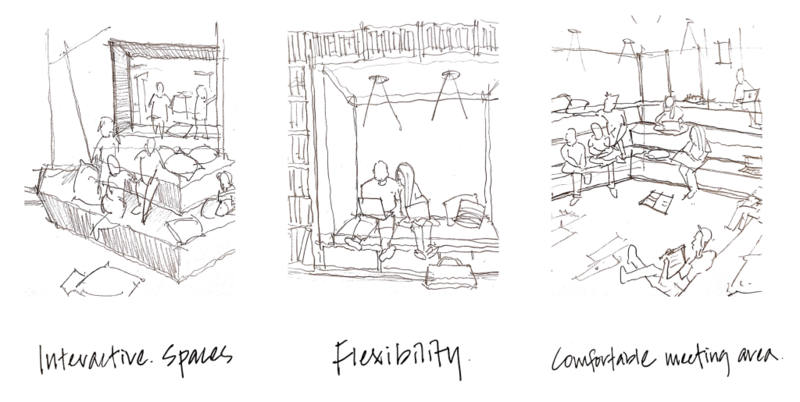 A continuous environment, that unfolds like a scroll painting or a playful game, without corporate dead ends. 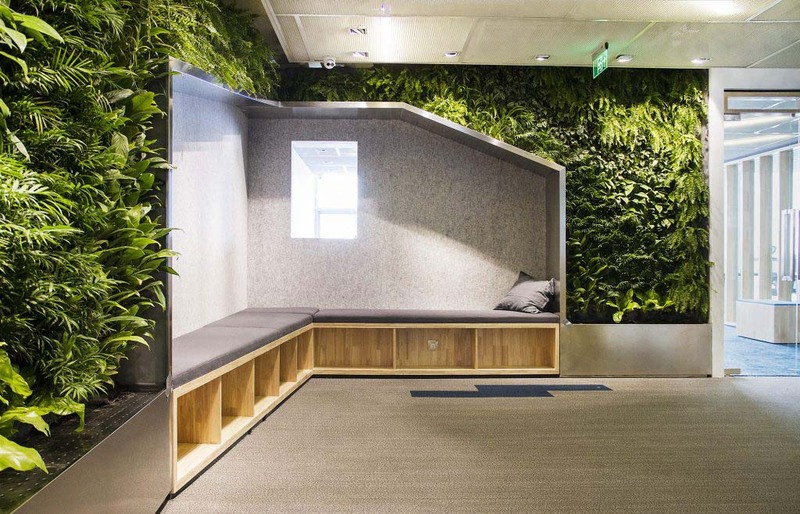 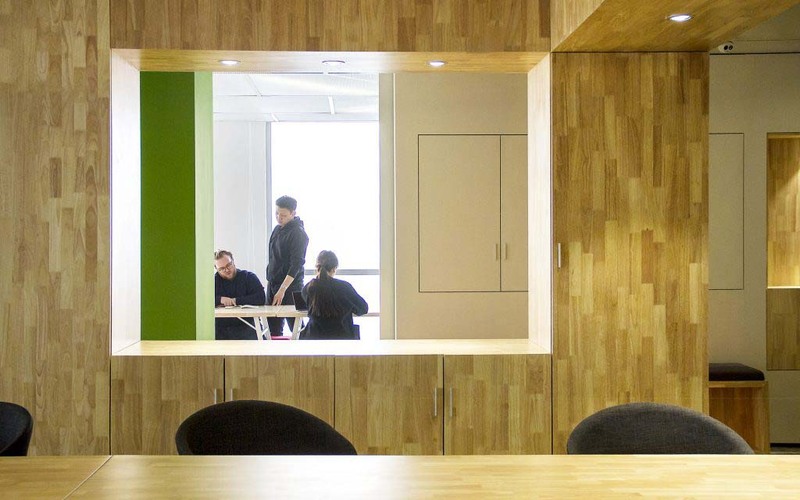 The materials, details, and spatial design were all carefully considered to create a natural and comfortable work environment. 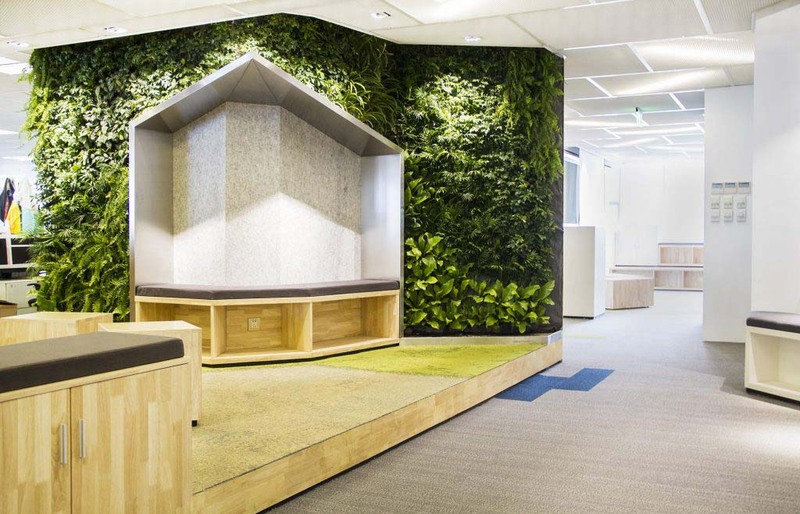 We used the ‘human nature garden’ as a conceptual starting point for creating a sustainable work environment. 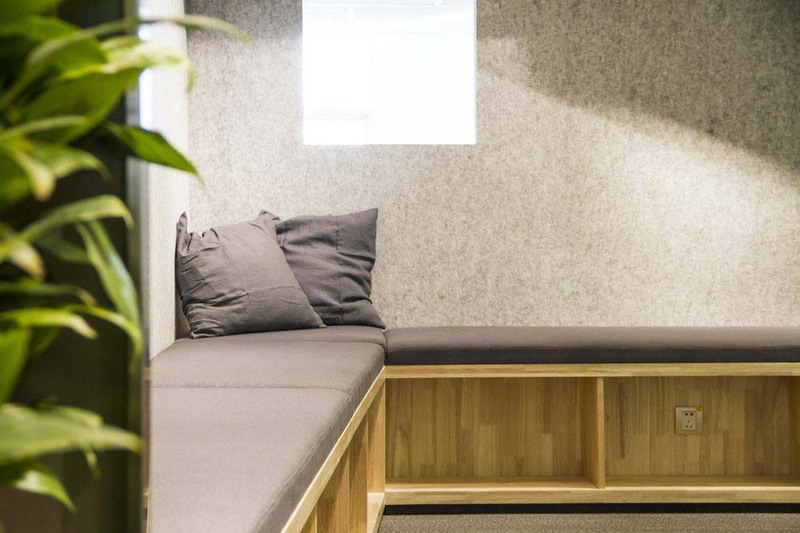 Such as, in the choice of materials, which are largely natural and organic and include wood, plants, and climate neutrally produced carpet that even looks like stones and grass. 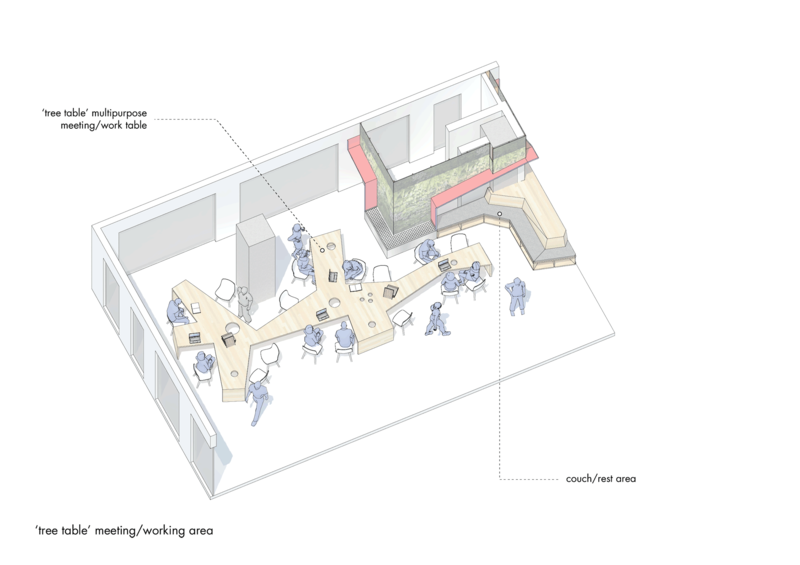 We worked closely on site with contractors and builders in order to make sure that the design came together accurately, on-time, and true to our design intention for the client. 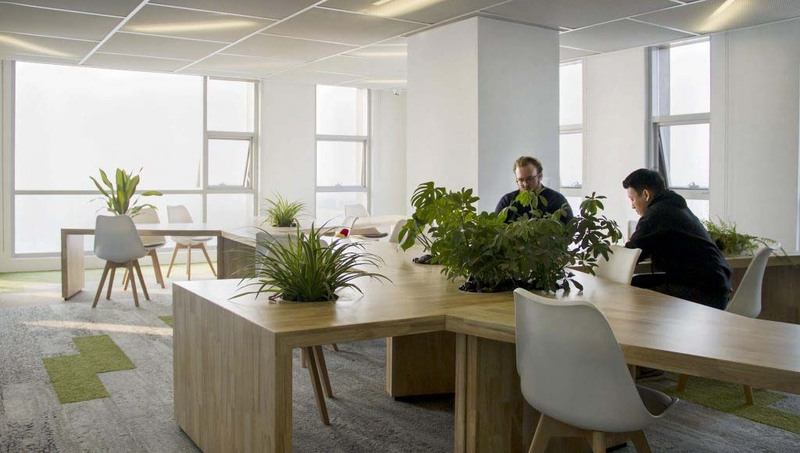 Through understanding the way the creative people work at Happy Elements, we were able to shape the spaces to suit and accommodate their working patterns, to make it more friendly and comfortable. 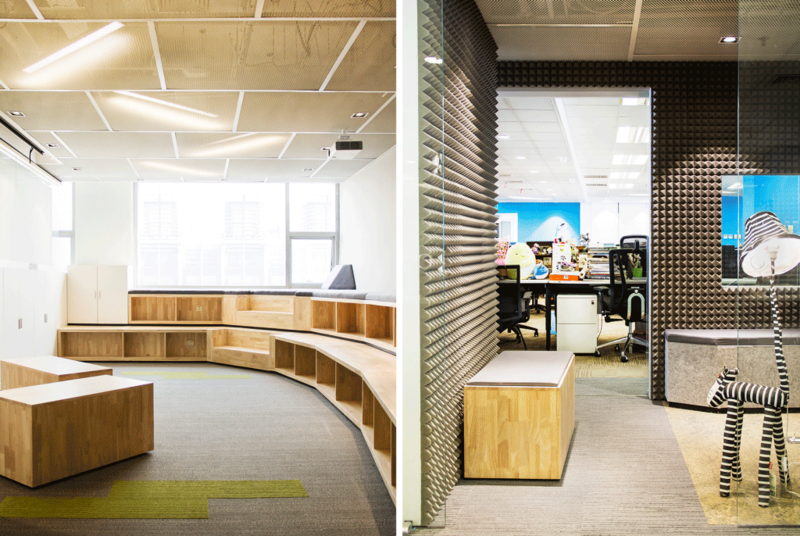 We created places that encourage collaboration, ‘forced collisions’, and spontaneous exhange of ideas throughout the office. 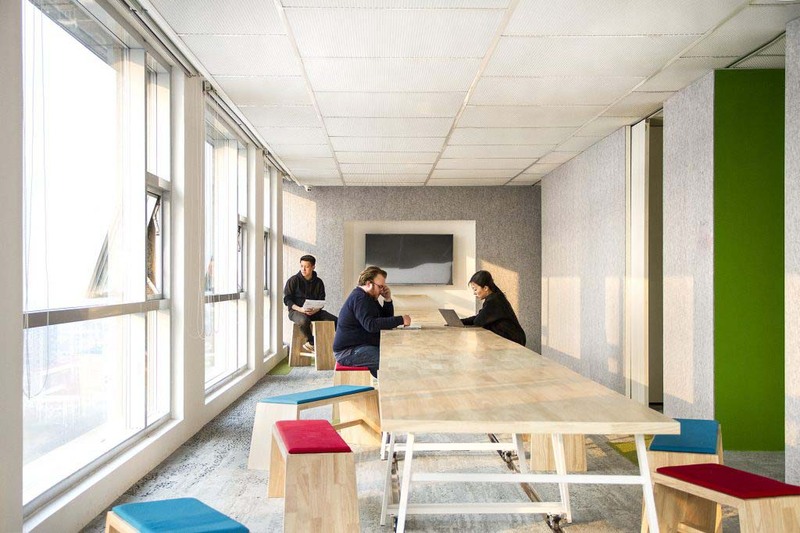 We love to see our spaces being used to make people happy, in ways we hadn’t imagined.